With a 60 minute time limit, we were transported back to medieval Canterbury with the task to escape the grasps of jail through a series of mental arithmetic and challenges. We managed to complete the task in 55:27, leaving just 4 and a half minutes spare! 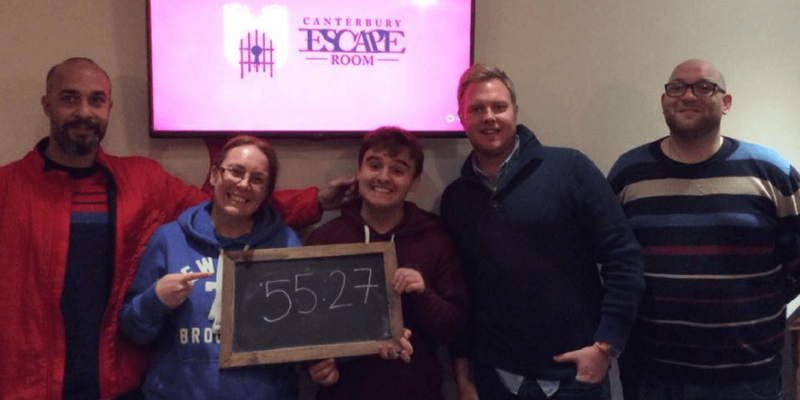 We was on our way to completing in a much quicker time, however we missed an all important clue towards the end that lost us over 10 minutes. The Escape Room was an excellent chance to let our hair down and work as a team in a different environment.